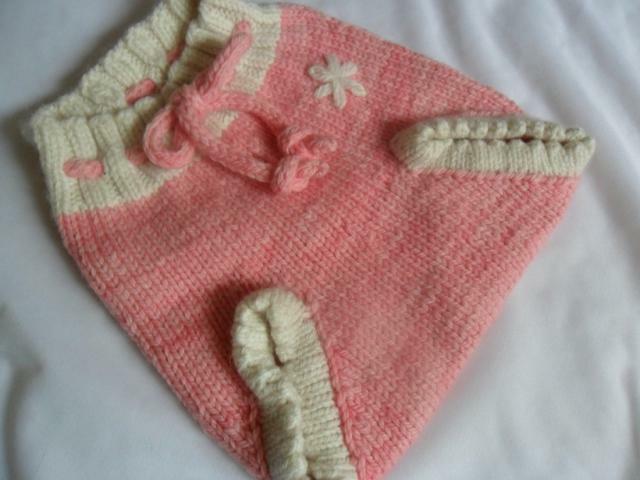 Medium size soaker in blossom pink and natural colours. Picot edging cuffs, pink i-cord drawstring and embroidered flowers on front and back. The above soaker has now sold, however I can knit items to a similar design. please PM for details. For further details or to purchase, please PM or leave a reply on this thread (I am quicker to respond to PM's) Price does not include postage but I can reduce costs if you are buying several items.